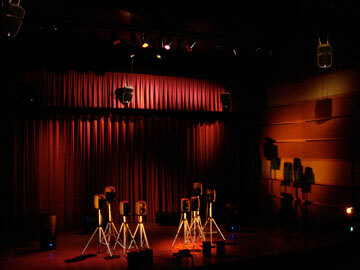 The PUTS system for electroacoustic sound diffusion was founded by Flo Menezes in 2002 with financial support of FAPESP (Foundation for Research of the State of São Paulo) and is the first of its genre in Latin America. 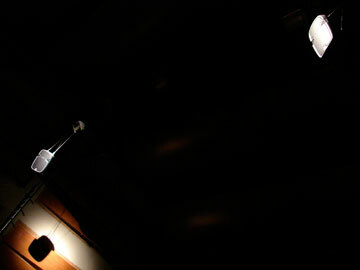 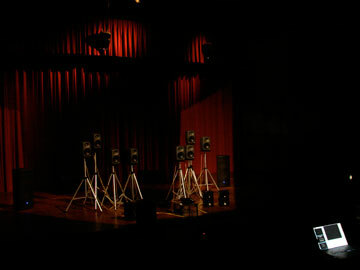 The world première of PUTS took place on 31 January and 1st February 2004, at the Theatro Municipal de São Paulo, with the world première of labORAtorio by Flo Menezes. 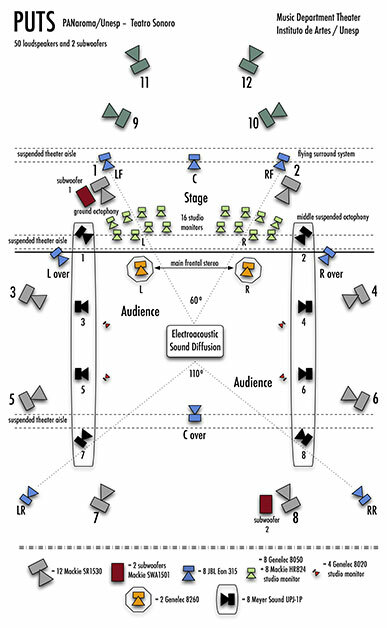 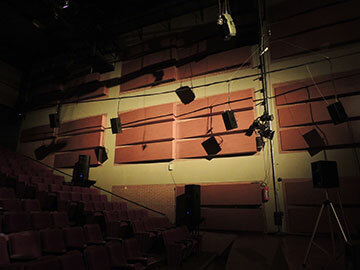 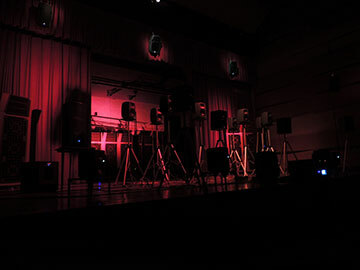 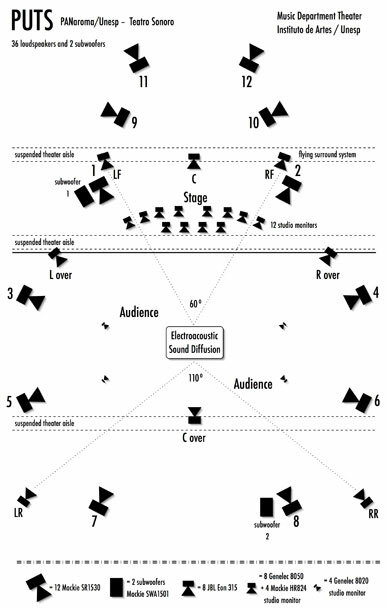 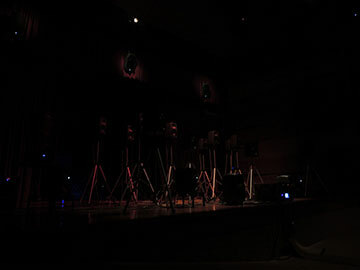 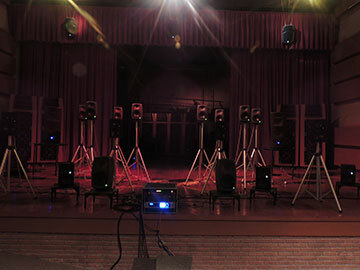 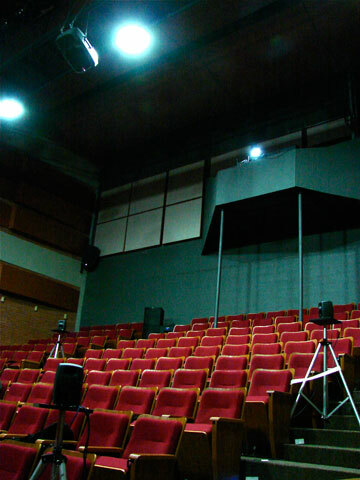 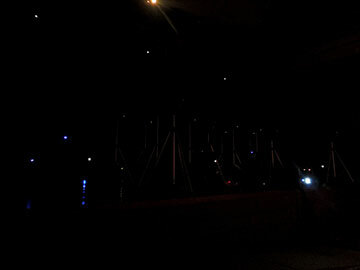 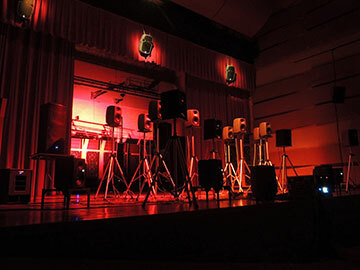 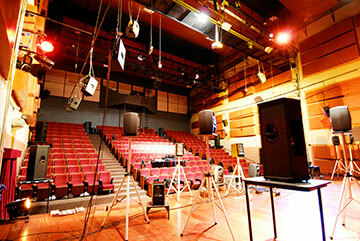 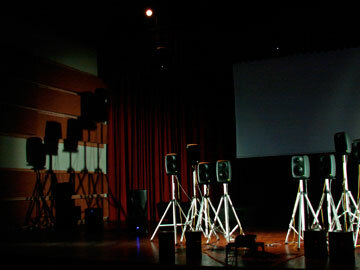 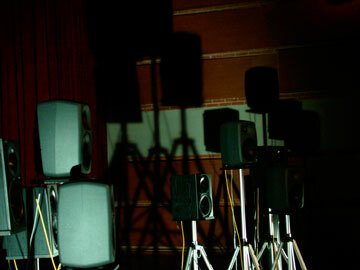 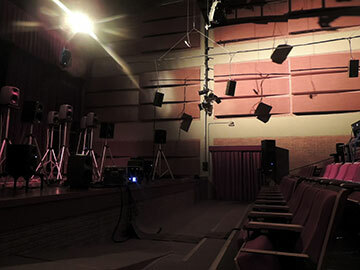 In its first configuration, the PUTS consisted of an octophonic ground system surrounding the audience, an octophonic suspended system with a 5.0 diagram plus a triangle of suspended loudspeakers over the audience, a quadraphonic system with small Genelec loudspeakers just on the right and left sides of the audience, of several loudspeakers on stage and of far displaced loudspeakers for reverberated or non-directional sounds, as illustred below. 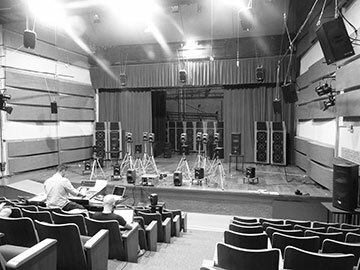 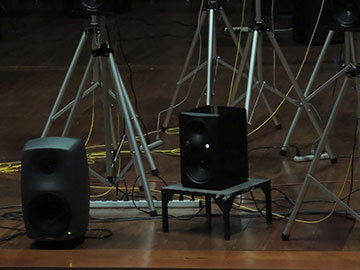 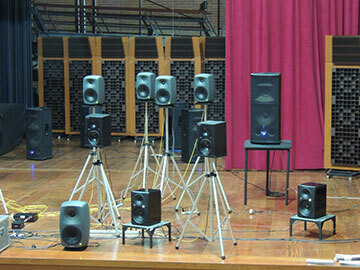 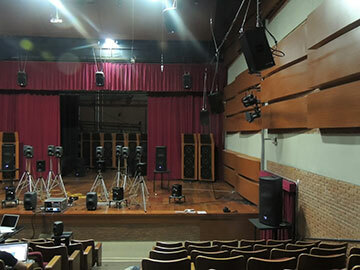 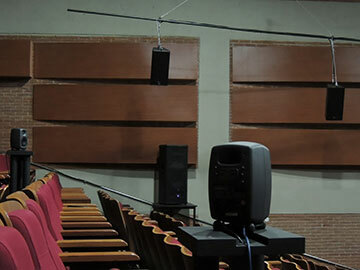 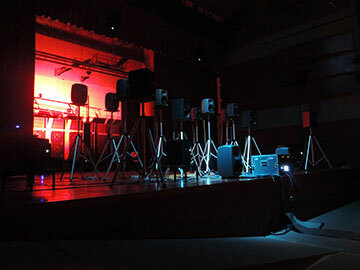 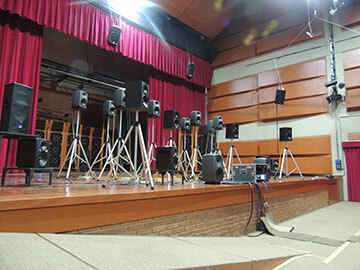 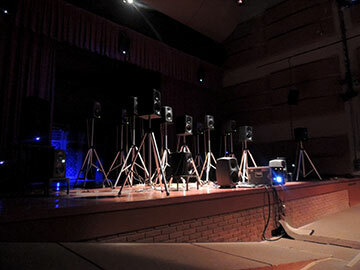 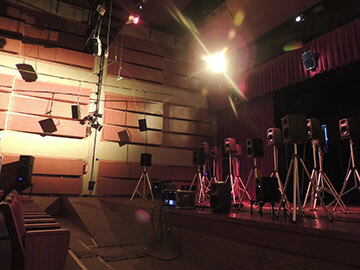 PUTS is growing, however, and the present configuration, as used during the X Bimesp 2014 (International Biennial for Electroacoustic Music of São Paulo), has 52 loudspeakers of high quality (Meyer Sound, Genelec, Mackie and JBL), as illustred by the following figure.